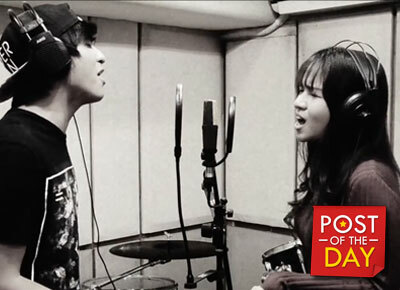 Kristel Fulgar and CJ Navato sing "Secret Love Song"
Singer-actress Kristel Fulgar released another duet with her former Goin' Bulilit co-star CJ Navato. This time the two did a cover of Little Mix' "Secret Love Song." As of this writing, the video uploaded by Kristel on her Facebook has already 622,869 page views, 27,198 shares and 2,000 plus comments. On Youtube the video already has 66,000 views. Kristel and CJ previously sang Charlie Puth's "One Call Away."